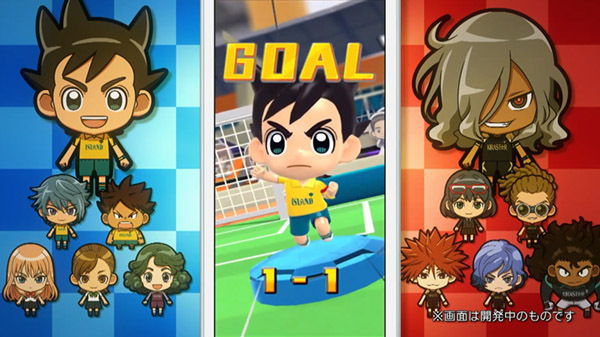 Plus a short new video of Inazuma Eleven Ares. Level-5 has announced Inazuma Eleven SD (tentative title), a ohajiki-based online battle game, for iOS and Android devices. Watch a short gameplay video below (from 1:16:15 to 1:19:04). Level-5 also debuted a short gameplay video of the Inazuma Eleven Ares gameplay demo playable at events such as World Hobby Fair Winter 2019. Watch that below (from 1:05:47 to 1:08:45). Inazuma Eleven Ares is due out for PlayStation 4, Switch, iOS, and Android in Japan in 2019—sometime after May.